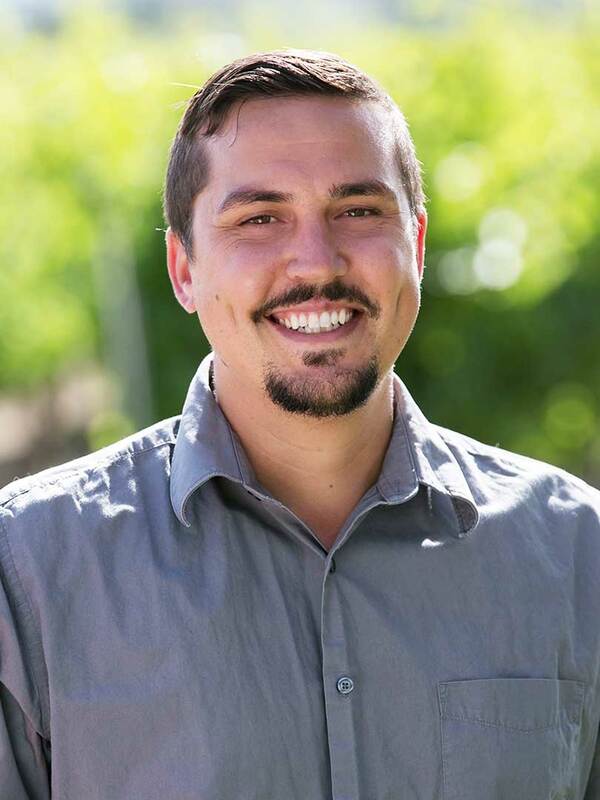 Devin Ruddick of Hook and Ladder Vineyards and Winery is today’s guest on California Wine Country with Steve Jaxon and Dan Berger. The Hook & Ladder Winery is in the most gorgeous area in Sonoma County, with a lot of great neighbors and organizations that keep them busy and popular. The De Loach family still owns the winery and Cecil De Loach was a San Francisco fireman, who was a “tiller” who steered a hook and ladder truck from the back steering wheel around tight corners. One of their wines is called “Tiller” for that reason. The famous De Loach Chardonnay at different times in the past was supervised by Randy Ullom and Bob Cabral, whom Devin calls “mega rockstars” in wine. Cecil’s grandson Jason De Loach is now the winemaker. First they taste the 2015 Third Alarm Chardonnay. That is their reserve label. It is a blend of different vineyards. Dan says that 30 years ago, De Loach Chardonnay was a Gold Medal winner. Jason took an apprenticeship at Balletto Winery before taking over winemaking here. Dan describes it as slightly buttery but it has great tropical fruit. On top of that, there’s a little depth underneath with good acidity to make it go well with food. Devin Ruddick describes the Hook and Ladder Vineyards tasting room as casual, walk-in friendly. They encourage picnics and they have bocce and corn-hole to play. He says the guests’ visit should give good sensory memories, whether it’s the wine or the experience around there. It also has a unique ambiance. They also have some small production of many different varietals. Much of it is sold only direct to consumer. There is also a 2017 Rosé of Pinot Noir. They only make about 400 cases and sell it all direct to consumer. Dan says it’s like a red wine, with enough body to have with something like steak tartare. Dan says that this is an expensive wine to make because Pinot Noir grapes are expensive now. The bottle goes for $24, but Dan thinks they could get a lot more from a red Pinot Noir. This is made using the saignée method, which is a “tank bleed” style of Rosé, where they take juice off a fermenting tank of Pinot Noir, capturing the delicate flavors and colors. Devin says that in the Russian River Valley, a lot of consumers like a Rosé that has more body and they like to make it as a way of expressing the different ways they make Pinot Noir. Devin Ruddick tells a little more about how Hook and Ladder started. When Cecil De Loach started his first winery, he was a career firefighter. He thought he would keep wine as a hobby. He bought a house and some vineyard land for $80,000 in the early ‘80s. He took his SFFD retirement in 1982 and went into wine full time, until he sold De Loach Winery in 2003. 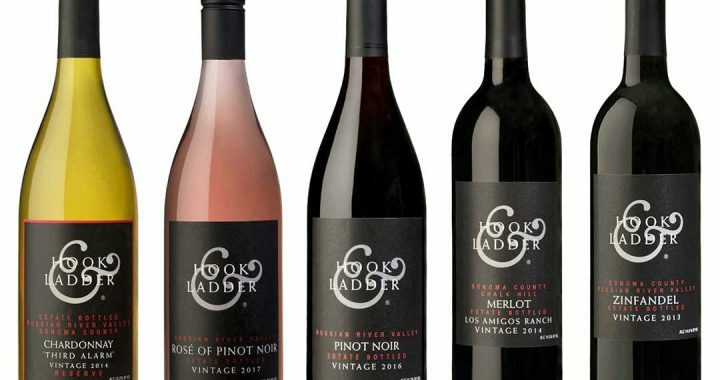 Now, Hook and Ladder Vineyards celebrates his first career. They even have a little fire truck on the grounds of the winery. Cecil De Loach sold the winery in 2003 to the Boisset Collection of Jean-Charles Boisset, which Dan describes as one of the largest wineries in France. Jean-Charles has also since then acquired other California properties, such as Raymond and Buena Vista. Next they taste a Hook and Ladder Vineyards 2016 Estate Bottled Hook & Ladder Pinot Noir. Dan explains that Pinot Noir has to have a style. Devin captured all the fruit but in Burgundian style, it has a little forest floor and rose petal component. Dan says usually this wine is $40-50 but this one is under $30, which is extraordinary. Devin calls it their broad market Pinot Noir, one of six wines that they sell outside the area. Dan Berger suggests it would peak in 4-6 years. And if you can’t wait to cellar it, you can decant it to let it breathe. Jason De Loach is the grandson of Cecil, and is the winemaker. He literally grew up in the vineyards. This gave him a passion for wine. He learned everything hands-on at the winery since his youth. He is still “on the cellar floor” says Devin. Dan points out that he learned a lot from his apprenticeship at Balletto Wines. Both Jason and Devin are in their mid-30s. Next they taste their 2014 Los Amigos Ranch Estate Merlot. It has a dusty and chocolate flavor, and also a leafy component, says Dan. Some Merlots are pure fruit but this is a little leafy, Dan compared it to dried tobacco leaves. It has won several gold medals. Dan says Merlot is less tannic than Cabernet Sauvignon and a lot of people prefer it for that reason. Merlot, as it ages, picks up a little more of the dry herb component. Now they taste the Hook and Ladder Vineyards 2013 Estate Zinfandel. This was the original calling card of the De Loach family, as Cecil’s first vineyard purchase was some old Zinfandel vines. Dan says they are low producing vines that give a very concentrated rasberry flavor, then a wild spice note. They were planted in 1909. Dan says it’s not easy to identify aromatics and flavors in wine, and he just realized it smells a lot like loganberries. It’s similar to a blackberry but “it has a little bit more raciness” says Dan. Dan closes by saying that Hook and Ladder is a great community resource, a beautiful property and a great place to do a picnic. They do public events except at harvest time, when they are busy and the events are all listed at their website.